As we welcome in a new year, many of us make new resolutions welcoming change. One of the biggest trends in menswear for 2017 is utility style clothing. Think practical garments with added zip and pocket features teamed with earthy colours. 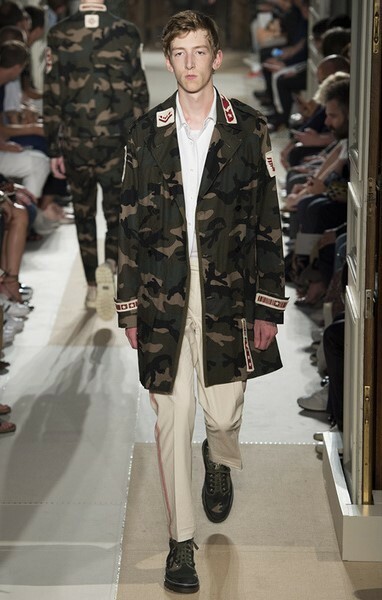 Look to Valentino’s collections for inspiration, with colours such as khaki, cream and stone being huge. Bold checkered patterns will also be a must-have. Jackets are a great starting point for this trend which men of all ages can experiment with. From formal tailored jackets featuring tweed and heavy wools, to the more casual alternatives such as parkas, source a jacket which is practical for all seasons – remember you can layer up with jumpers in colder months. Top tip: Camouflage items are the perfect for this trend. With so many high street brands offering camouflage garments the versatility will allow you to team items with more casual looks such as denim and lounge wear. This is another big 2017 male trend which is guaranteed to take you back to your youth. With the rise of lux sportswear showering the catwalks, sports designers are pulling on modern collaborations to bring a new edge to sportswear. Brands like Nike and Commes Des Garcons are leading the way in modernising sportswear, and even making it accessible to wear in the office. This trend will see the introduction of technically designed outerwear; fusing both fashion with technical aspects, such as zip detailing and water resistant materials. Nineties favourites including puffer jackets and cotton leisurewear will be back with a bang too. 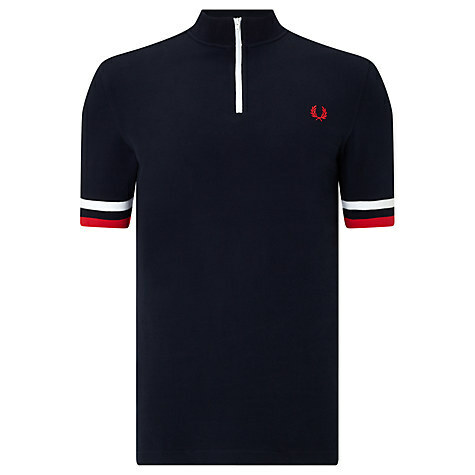 Top tip: Team sportswear with this seasons colour palettes. 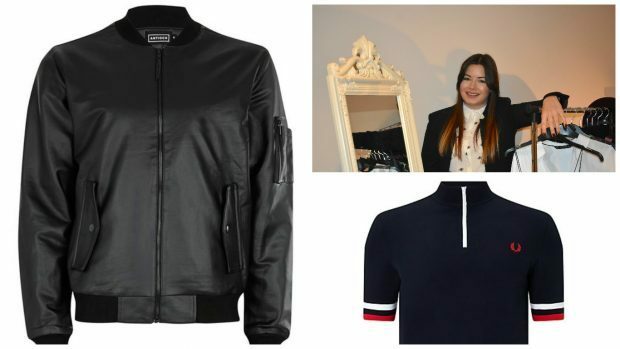 Designers such as Louis Vuitton, and high-street brands like Topman have teamed their casualwear with bold colours, ranging from bright neon accents to subtler purple and yellow tones. If you don’t feel adventurous enough to try some of the bolder trends hitting the high street then why not opt for one of the classics. A trend that never fails to impress, leather is making a huge comeback in 2017. With the re-emergence of the ‘punk’ trend; think skinny shirts, ripped detailing and tartan patterns, this trend is one which can be dressed up or dressed down. 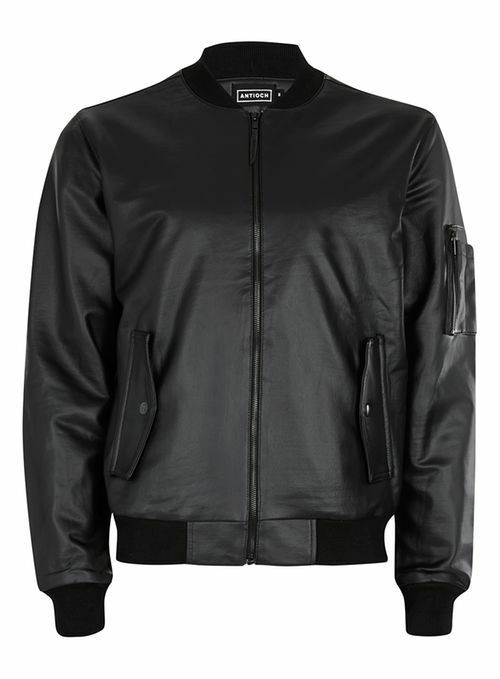 For a subtle influx of leather into your wardrobe why not invest in a jacket. Team it with a checked shirt and slim fit denim for a laidback look. Top tip: Leather is a great investment, especially for outerwear. Real leather is durable and high quality, which means it ages extremely well and gives each individual jacket a unique character and colour.